How can students continue at home? Take coding practice to the next level with exclusive levels and fuzzy suprises! Students can extend learning with Kodable at home. We offer a completely different set of levels, so coding at home doesn't interfere with plans for coding in the classroom. To take learning to the next level at home, students will need their Parent code. This can be found on the student code cards, downloadable on your teacher dashboard. 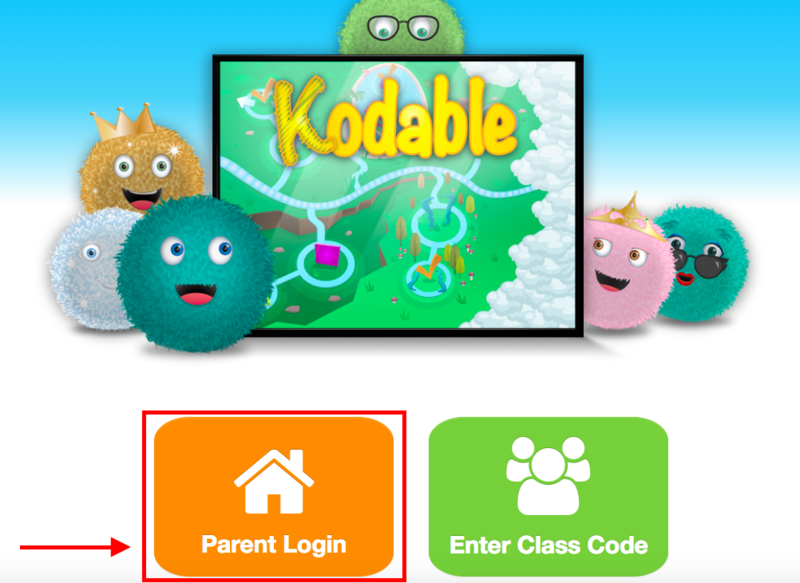 The Parent code is entered in the app or on the web version of the game using the Parent Login option. Parents can learn about our Parent plan details and set up a free trial account here. Questions or feedback? We love to hear from you! support@kodable.com.